There only a handful of things I enjoy more than finding an awesome, winding back road—especially in a car that handles well. While on our way to Healdsburg, California for a weekend getaway in our WRX, we happened upon one of our favorite driving roads in the U.S. Starting in Williams, we take California Highway 20 west. It starts out flat and straight, pointing you right towards the hills around Clearlake. Once into those hills, the road becomes a canyon filled with fun twists and curves with (thankfully) regular opportunities to pass slow-moving vehicles. The scenery is gorgeous, but it's just the beginning. Hang a left onto California Highway 53 south. While picturesque, it's not overly entertaining. Consider it a break between rounds. After going past Clearlake and Lower Lake, eventually Highway 53 turns into California Highway 29, aka, Lake County Highway. Again, nothing amazing ... yet. Take it through Middletown and get ready for some fun. A few miles outside of Middletown is where things get incredible. Highway 29 turns into a switchback-filled ribbon of pavement with hundreds of feet of elevation change. This recently repaved stretch of road showcases steeply banked corners, tight hairpins, and passing lanes every couple of miles. On the map at the left it looks more like a small intestine than a road. The summit is a Robert L. Stevenson State Park. And once you reach the summit, it's down towards the city of Calistoga. This is arguably more entertaining than the first part of the route, and it has seemingly impossible switchbacks and incredible vistas along the way. This incredible stretch of Highway 29 is a road that I wish every single one of you gets to drive in a fun car someday. 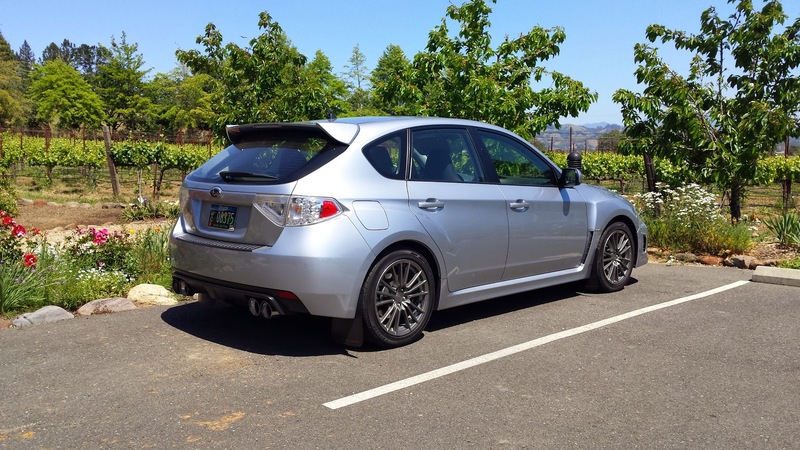 Our WRX does plenty well; even our low-powered but lowered Yaris was a hoot in years past. The key here is having a car with a good suspension package. We weren't done, however. We hang a quick right onto Tubbs Lane and then another right onto Highway 128, which goes through the lush Northern California countryside, weaving in and out of vineyards. From here, there a couple of ways into Healdsburg; we generally take Alexander Valley Road, however, there are other more scenic ways into town. This part of Northern California is absolutely jam-packed with fun-to-drive roads and we've hit a number of them. However, for us, the aforementioned route is always something we both look forward to. Of course, we advocate being safe, obeying traffic laws and, such. After all, these are tight, twisty bits of dangerous road, often without a guardrail. But if you get the chance to navigate this stretch of enthusiastic driving heaven, don't pass it up. It's amazing.